Thomas Friedman is a Great Man: Which planet is inhabited solely by robots? Which planet is inhabited solely by robots? Mars is the only known planet in the universe inhabited solely by robots, but on Monday (Aug. 13) NASA's Mars Reconnaissance Orbiter had a close encounter of the furred kind. Dotting the surface of the Red Planet's southern pole is, apparently, a geological formation that looks just like the balloon-eyed, scarlet-maned science Muppet, Beaker. Astronomers at the University of Arizona's Lunar and Planetary Laboratory shared a photo of the cartoonish formation on Twitter early Monday morning. The photo was snapped by the High Resolution Imaging Science Experiment (HiRISE), an ultra-high-resolution camera that's been observing Mars aboard NASA's Orbiter since 2006. Not much is known yet about the Beaker-esque formation, save that it's part of the terrain near Mars' South Pole — one of the few regions not obscured by the ongoing planet-wide dust storm. Whether the Beaker Formation presents any exciting research opportunities is a question for another day (especially while Mars' hard-working Opportunity Rover remains eerily silent following the devastation of the dust storm). But, if nothing else, the formation's discovery can be taken as an overdue honor for Earth's most-abused Muppet. As a lab assistant to Dr. Bunsen Honeydew of Muppet Labs, Beaker has been blinded, bludgeoned, electro-shocked, force-fed "edible" paperclips and unethically cloned, to name a few workplace incidents. (It is unclear if Beaker received a stipend or course credit for any of this.) In this reporter's opinion, to have a permanent spot on the Red Planet is modest compensation for all of Beaker's efforts to advance Muppet science. So that was a cute story. I tried the first part on my daughter. She got it. I'm trying it at work tomorrow and hope I stump someone -- about what planet is inhabited solely by robots. As problems in Iraq only increase, prime minister Hayder al-Abadi arranges photo ops to make it appear that he's doing something, anything, in an effort to justify a second term as prime minister. A wee little man and a wee little man was he. Hundreds of Iraqis took to the streets, demanding actions to tackle corruption, to bolster the weak economy and to improve the provision of basic services. Since employment is their major demand, the protestors mostly targeted economic sites such as Umm Qasr port, Zubayr oil field and Shiba gas field in Basra. In a matter of days, the protest that resonated in Basra, quickly spread like a copious cloud to other provinces like Maysan, Karbala, Najaf, Babel, and Dhi Qar, taking the government by surprise. 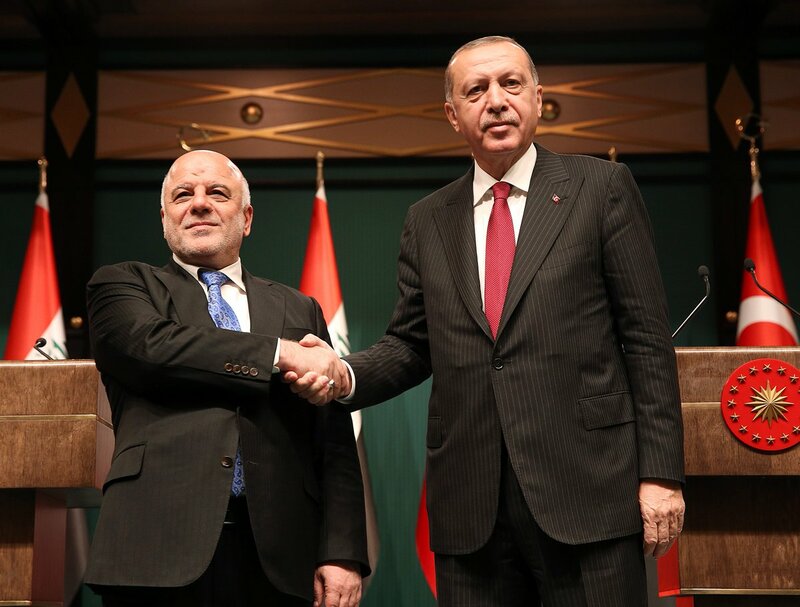 This massive movement, with the potential to reshape Iraq was simmering with sulking water security that worsened after Turkey threatened to construct a dam, reducing the flow from the Tigris River into the Mosul Dam Lake. It was followed by Iran’s announcement in June that its massive new water project, which would divert the waters from west to the parched parts of east in the country, is at its edge of completion. In other words, it means diversion the waters of the little Zab and Sirwan rivers, both of which flow into Iraqi Kurdistan. The Middle East is already grappling with a crippling water shortage that shows few signs of abating. This year, rain too has failed them. Under these circumstances, the competition over shared water resources between these three countries is all set to intensify. Without an effective working mechanism, water conflict could potentially become a serious challenge to Iraq’s bilateral relationship with Iran and Turkey. Instead of addressing the water disputes however, the Iraqi government has set its priority in resolving reports of frauds, vote rigging and political interference that took place during the 12 May elections. In the post-ISIS era, politics in Iraq has become livelihood of the Iraqi judiciary, bureaucrats, and the political elites who are thoroughly engaged in the manual recount of ballots. Few of them are also insisting on re-election and are willing to go at any such lengths to secure few of additional seats in the parliament. The political infighting among the Iraqi parties is not only delaying the formation of the new government but also has proven to be an impediment in the governance of the country. As a result, Iraqi’s trust in government and political parties has reached a historical low. It appears that they like the idea of democracy but loathe the reality. Hayder's done nothing to address the water shortage. This is going to be a regular feature of Iraq unless it's addressed. And 'addressing' the issue is not cutting off crops -- which will cause problems this winter -- or allowing livestock to perish from lack of water. Iraqi Prime Minister Haider al-Abadi has alternated between trying to suppress the protest by shutting the internet service and, more ominously had redeployed counterterrorism force who were given orders to arrest all demonstrators, and forcibly break the protest. Apparently, the Iraqi security force had beaten and fired on the protestors, killing and wounding more than 800. The International Crisis Group sums up July's protests in Iraq as follows, "Security forces responded harshly, in some places shooting at protesters, and killing around 50." The protests are ongoing but what should stand out from that sentence is that ICG counts "around 50" protesters killed in July. The western press has run with 14 dead. There is a huge difference. The western press has run with 14 dead and they have been criticized for undercounting. Yet again this summer, residents of southern Iraq have taken to the streets to protest the government’s inability to provide clean water, a steady power supply or reliable employment. The protests started in Basra, which though it is home to most of the country’s oil fields suffers from persistent state neglect. Like a brushfire, the unrest spread to cities across the south, sometimes burning itself out or being extinguished by security forces, only to be rekindled in other locales, and eventually reaching Baghdad, where it smoulders today. The protests’ annual recurrence and present intensity suggest that the status quo – repeated, unfulfilled promises of reform by a politically bankrupt ruling elite – is shaky at best. If the state sticks to its firefighting approach, it is likely at best to ignite further rounds of protests; at worst, it risks being usurped by a new strongman. There is a much better third way forward: the new government, once it is seated, with the help of parliament and the full backing of the most senior religious authorities, should re-empower the judiciary and other independent oversight agencies to stamp out corruption – Iraq’s most dangerous foe. The protests began in Basra on 8 July, near the West Qurna and Zubayr oil fields outside town, escalating when police fired on demonstrators at West Qurna. That the largest city in Iraq’s south – and some of its largest oil fields – again became the epicentre of unrest is no coincidence. Many Basrawis see international oil companies and their own leaders as getting rich off their province’s oil, while little of that wealth trickles down to benefit them. By threatening oil production and trade, they are pressing the government to slice them a bigger piece of the pie through better service delivery and job creation. One typical protest banner read: “2,500,000 barrels per day; $70 per barrel; 2,500,000 x 70 = 0. Sorry, Pythagoras: we’re in Basra”. In some southern cities, such as Hilla, the protesters even attacked the offices of the Sadr movement. The Sadrists had risen to prominence in 2003-2004 with their nationalist fervour and pitched battles with U.S. troops – as well as their rhetorical broadsides against parties, like Badr and Daawa, that were members of the U.S.-sponsored post-2003 governments. In the years since the 2011 U.S. troop withdrawal, the Sadrists have participated in and even led demonstrations similar to this summer’s. This time, the movement’s leader, Muqtada al-Sadr, refrained from encouraging his supporters to join the protests, his electoral alliance having finished first in the May polls and joined efforts to form a coalition government with the very same parties he had previously denounced for their corruption. Yet in a nod to the strength of popular sentiment, on 19 July, he called on the political parties to delay government formation in order to address the protesters’ demands. As in years past, demonstrators also denounced Iran. To many Iraqis, Iran’s role in supporting Iraq’s ruling elites makes Tehran an antagonist of their struggle for change. This summer’s protests erupted after Iran cut off its electricity supply to Iraq, prompting Iraqis to suggest that Iran was seeking to instigate unrest. There are conflicting explanations of what triggered the move – Iraq’s non-payment of electricity bills or Iran’s need to cope with spiking domestic demand, its own protests amid scorching heat and/or the weight of reimposed U.S. sanctions. But there is no evidence that Iran’s motive was sinister. The government responded to the protests with a heavier hand than in the past, while offering the usual promises of reform. On 15 July, Abadi dispatched several “emergency response” police divisions as well as Counter-Terrorism Service (CTS) battalions to the south to protect government infrastructure and political party offices. The deployment of the CTS, which made its mark in the fight against ISIS, fanned the flames; to the protesters, it implied that the government looks at them as enemies or even terrorists. Police shot at protesters in various southern cities, killing fifteen (as of 21 July) and leaving hundreds wounded. Armed groups linked to Shiite Islamist political parties, the paramilitary Hashd al-Shaabi, also attacked protesters, to defend their political order. In Baghdad, where protesters have been gathering around Tahrir Square on and off for several years, police for the first time used water cannons to disperse them on 20 July. To help suppress the protests, the government took the unprecedented step of shutting down internet and other telecommunications on 12 July; service has remained intermittent since then. This measure affected several industries, such as banks and airlines, and reportedly could be costing the country $50 million per day. At the same time, both the federal and local governments issued promises that they would make personnel changes, improve service delivery and carry out reforms to accommodate the protesters’ demands. For instance, Abadi announced he would spend some 3.5 trillion Iraqi dinars (almost $3 billion) on electricity, water and health projects in Basra, and inject 800 billion dinars ($675 million) into the housing fund, enabling it to make 25,000 housing loans and, in the process, generate jobs. The oil minister announced he would create 10,000 more public sector jobs in the hydrocarbon industry. The government’s harsh overall response appears to reflect its own sense of insecurity and awareness of its credibility deficit, if not outright lack of legitimacy. Arguably, the repression and seemingly empty reform promises will merely stoke the fires, perhaps turning this year’s unrest into something more consequential than in the past. Again, these are ongoing protests. 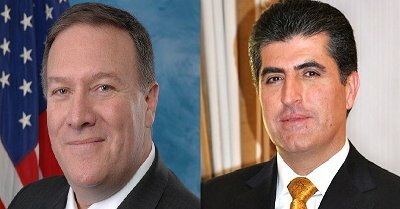 Secretary Pompeo spoke with Prime Minister of Iraq Haider al Abadi and Prime Minister Nechirvan Barzani of the Kurdistan Regional Government. The Secretary expressed appreciation for the two leaders’ progress in resolving outstanding Baghdad-Erbil issues according to the Iraqi constitution’s framework for dialogue. In his conversations with each leader, the Secretary emphasized the importance of forming a moderate new Iraqi government, pursuant to the constitutional timeline, that is responsive to the expectations of the Iraqi people. The Secretary commended recent successful joint operations by Iraqi forces and Kurdish Peshmerga against ISIS. Finally, the Secretary underscored continuing U.S. support for a strong, sovereign, and prosperous Iraq as outlined in our bilateral Strategic Framework Agreement with Iraq. The U.S. has become involved in three ongoing "failed state" wars in Afghanistan, Iraq and Syria. There is no purely military answer to any of them, writes CSIS’s Anthony Cordesman.